Hi all.. 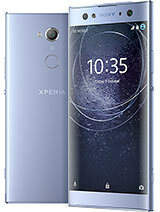 I want to buy this phone but it does not have a feature on video calling... can anyone suggest a phone with this spec.. thank you! i wanna ask, can it play AVI video? im gonna buy this device. Can i move my applications to SD with ASTRO FM?? shyam , do you have any source to prove it? can i get media player with Equilizer like MegaBass....or can i get Walkman Player? shyam, 23 Jan 2011no u cant... becoz SE hav not given update for 2.2 android. but it wil b available soon by feb... morereally really really??? SE will update it to froyo soon??? hmmmm. can i watch movies with this phone?? sanket, 23 Jan 2011can i update my 2.1Eclair to 2.2 Froyo??? no u cant... becoz SE hav not given update for 2.2 android. but it wil b available soon by feb/march..
can i update my 2.1Eclair to 2.2 Froyo??? gerard, 17 Jan 2011im confused b/w the xperia x8 and the htc wildfire....sombody help meGO for wildfire x8 is a good phone but SE annouced that they will give updation on OS.. I wanna use internet by connecting dis phone to my p.c. how can I ? Prabash, 22 Jan 2011Just go to settings -> About phone.. and check the firmware version.. hope this helps..:DThanks Prabash.now i know that my X8 android version is already 2.1 eclair. after do restart sending or receiving file via bluetooth is OK.
now need to download file manager it called astro FM. the only disadvantage now is there is no Java in X8 like in nokia N900 both need to download java from third party aplication, that should be a big file i guess! Can someone tell me about problem and disadvantages from this phone?? I hope x8 users here will answer!! for more info about that go to xda developers forum..